Which hotels are closest to the North Las Vegas airport? 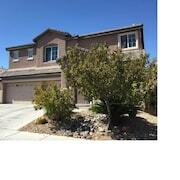 Can you find accommodation in popular areas of North Las Vegas? Where to stay near top North Las Vegas attractions? What kind of hotels are in North Las Vegas? 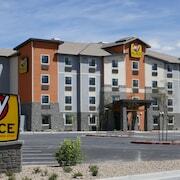 Which hotel chains are in North Las Vegas? Families will find kid-friendly activities in North Las Vegas, and visitors give high marks for the casinos, entertainment choices, and top-notch restaurants. This welcoming city also attracts tourists with its opera houses and shopping. 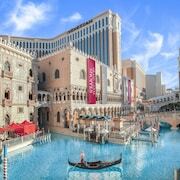 Top sights around the area include Las Vegas Strip, Bass Pro Shops, and Las Vegas Premium Outlets. 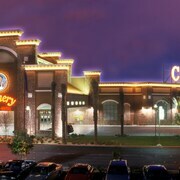 Favorite places to visit in the city include Silver Nugget Casino, Bighorn Casino, and Opera House Casino. A couple of additional sights to add to your agenda are Planetarium Observatory and Cannery Casino. SpringHill Suites Las Vegas North Speedway - With a stay at this 3-star hotel, guests can enjoy access to free breakfast and an outdoor pool, along with free WiFi. 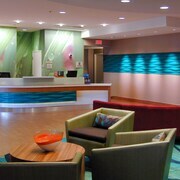 It's a favorite with Expedia travelers for its helpful staff and clean, comfortable rooms. 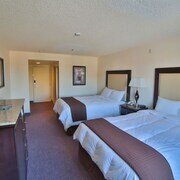 Aliante Casino & Hotel - Our customers like the family-friendly amenities and clean, comfortable rooms at this resort. 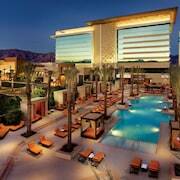 With a stay at this 4-star resort, guests can enjoy access to a full-service spa and a casino, along with free WiFi. 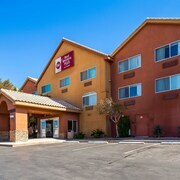 Hampton Inn Las Vegas North Speedway - With a stay at this 2.5-star hotel, guests can enjoy access to free breakfast and an outdoor pool, along with free WiFi. Expedia customers like its breakfast and helpful staff. Top places to visit in the area include Las Vegas Convention Center, located 5 mi (8.1 from the heart of the city, and Las Vegas Strip, which is 6.8 mi (11 away. What are the most popular hotels in North Las Vegas? 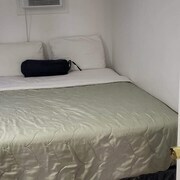 Are there hotels in cities near North Las Vegas? 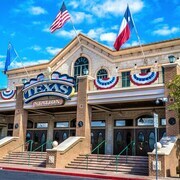 Explore North Las Vegas with Expedia.com.au’s Travel Guides to find the best flights, cars, holiday packages and more!